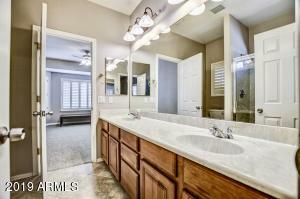 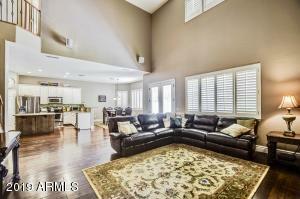 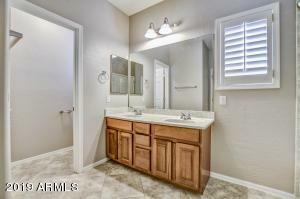 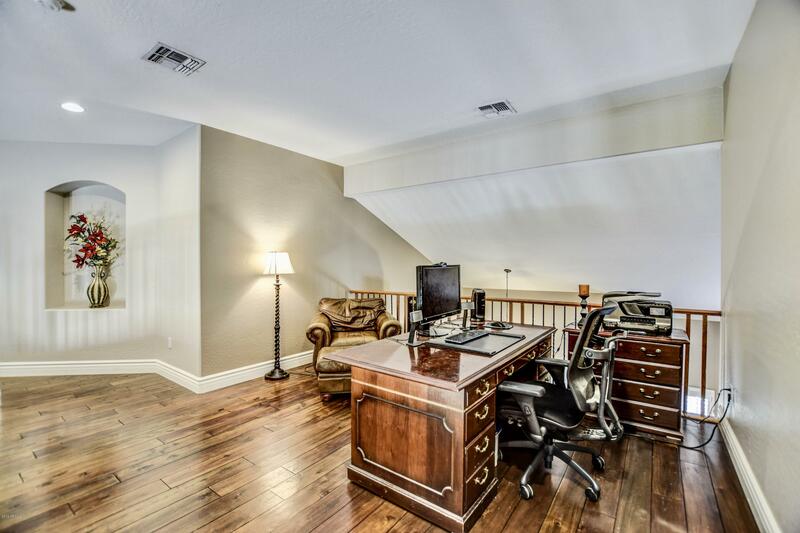 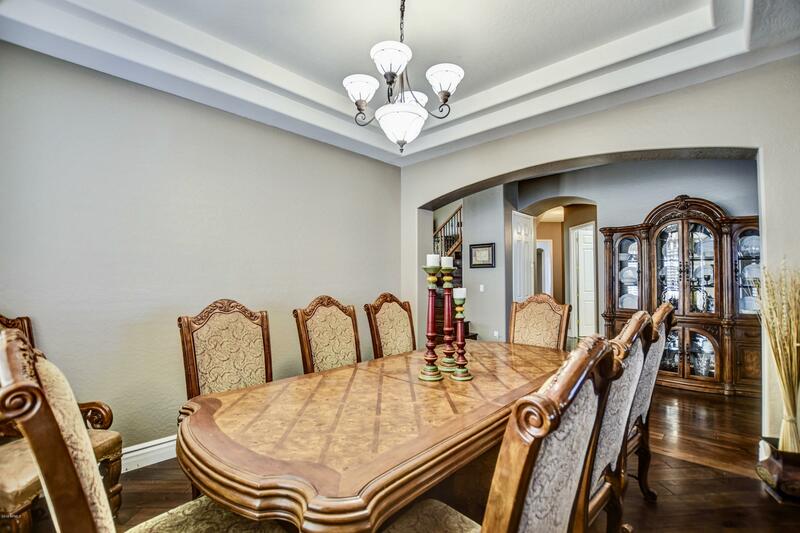 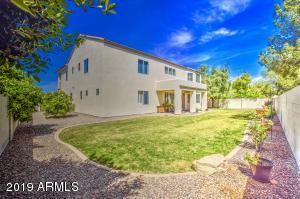 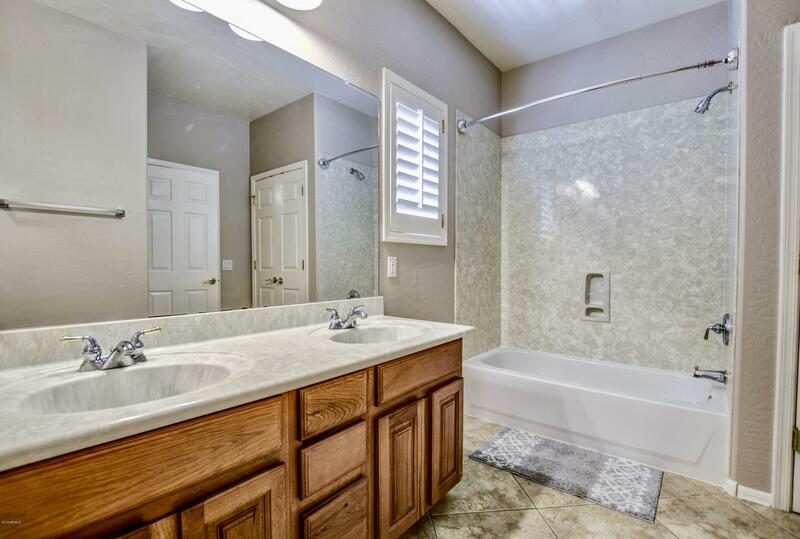 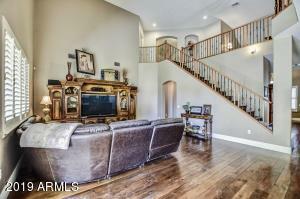 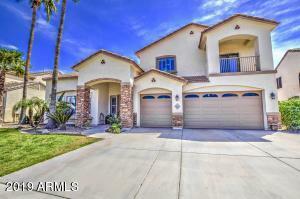 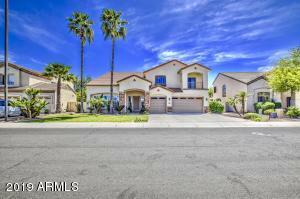 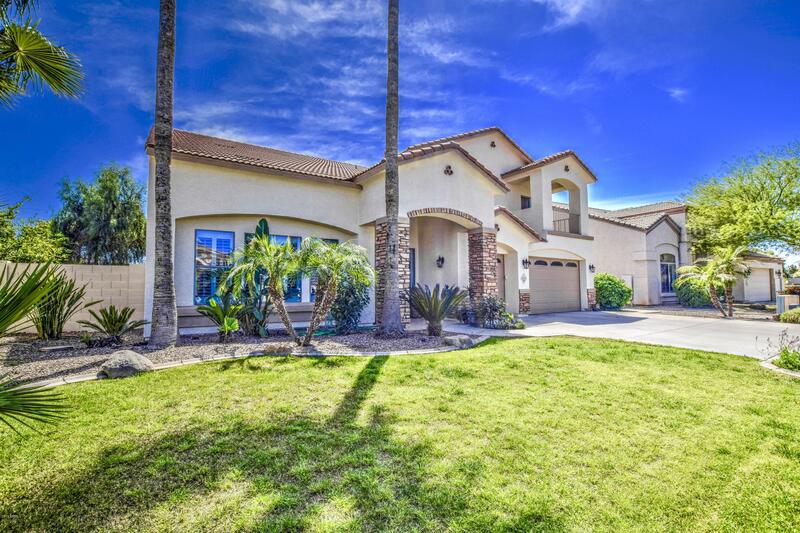 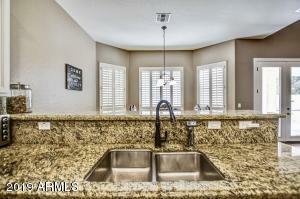 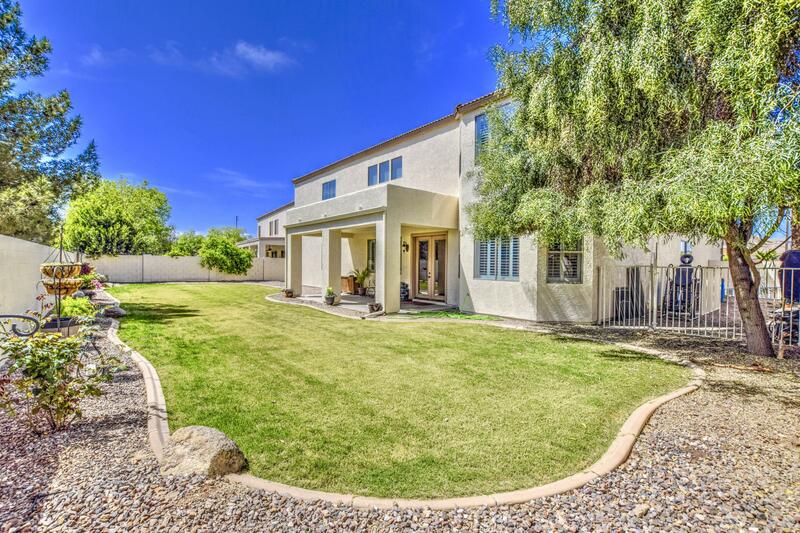 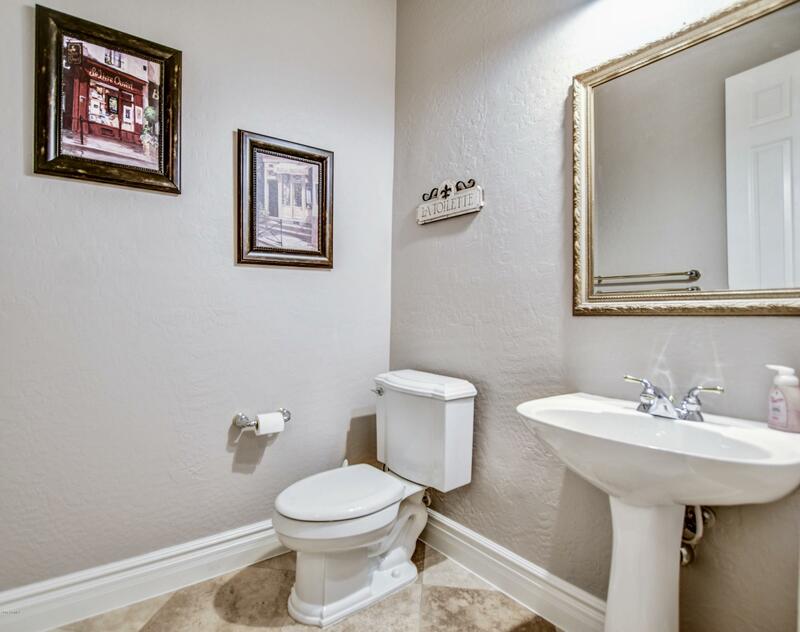 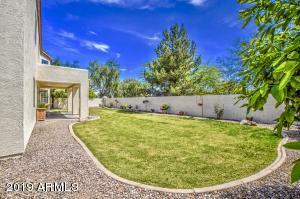 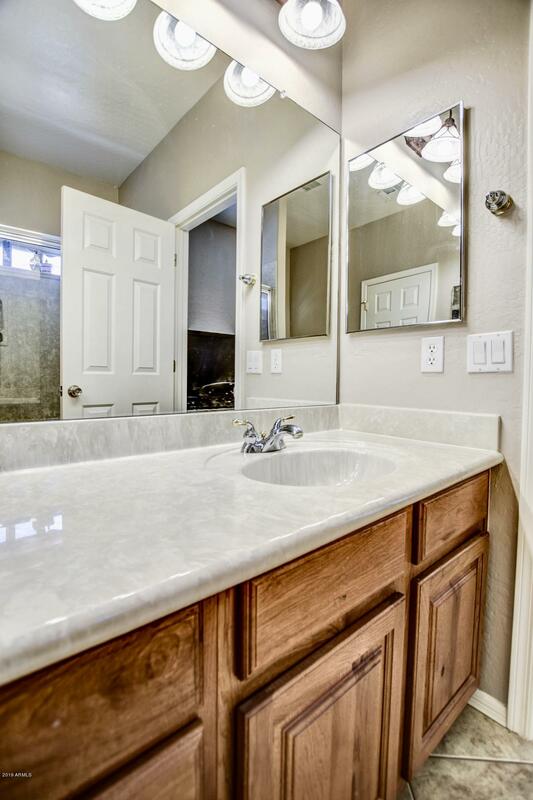 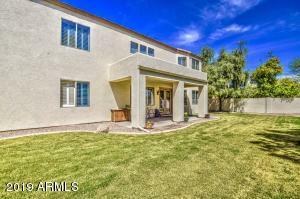 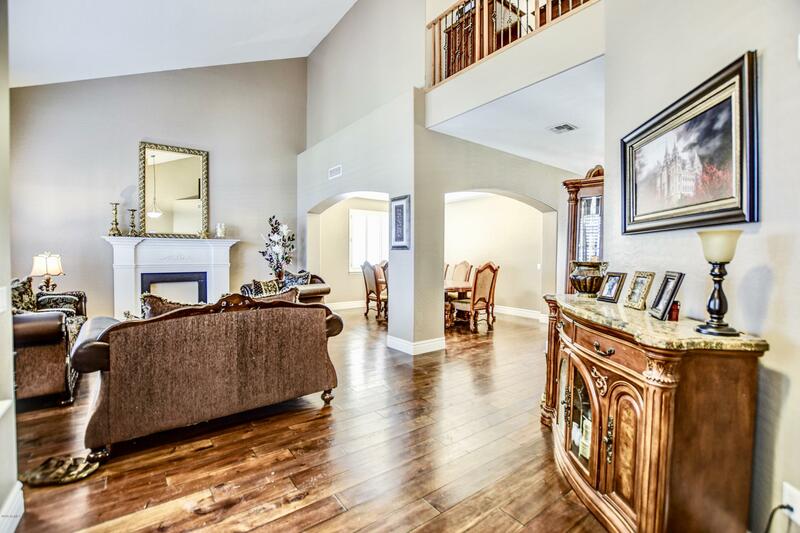 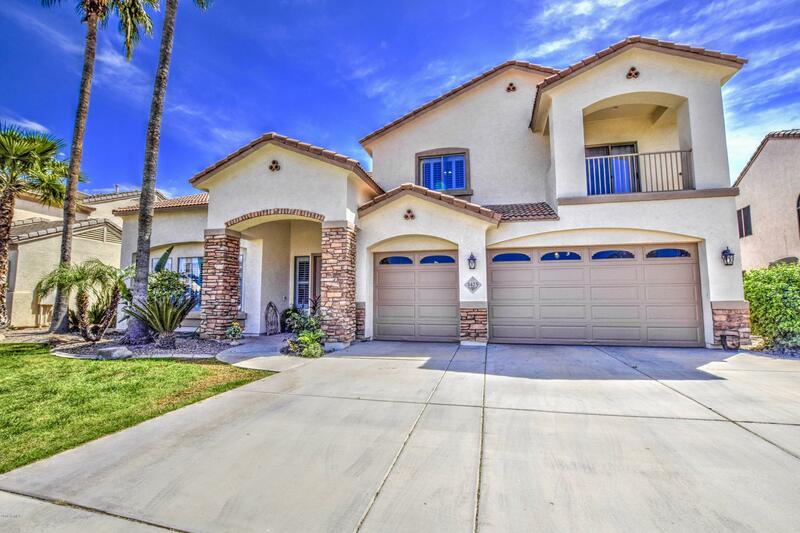 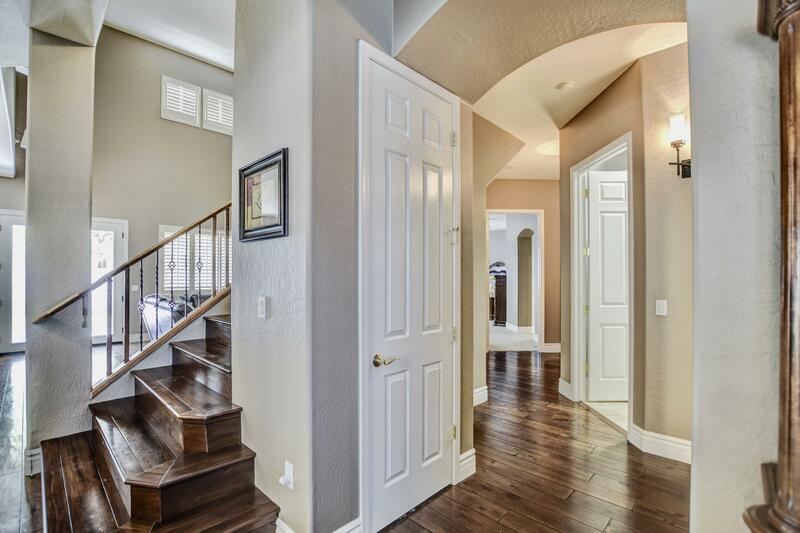 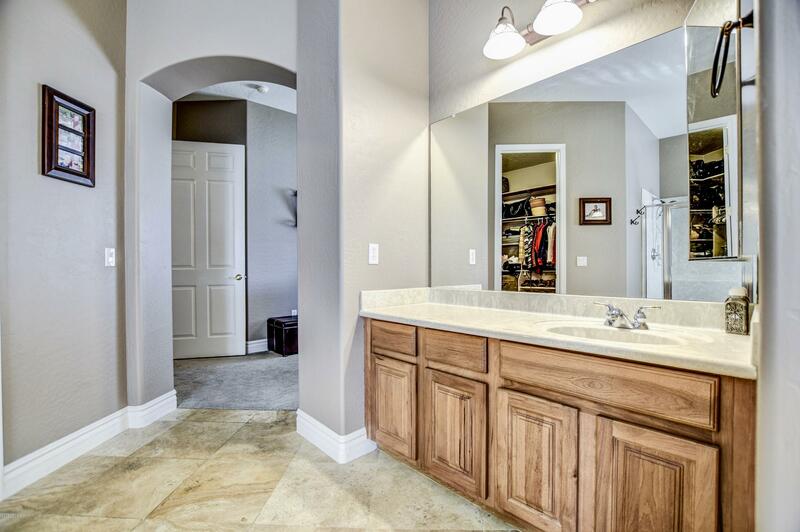 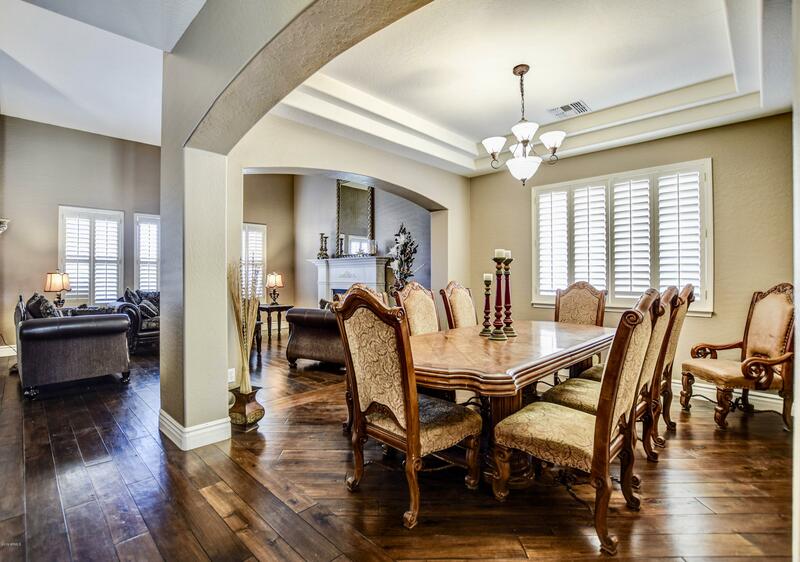 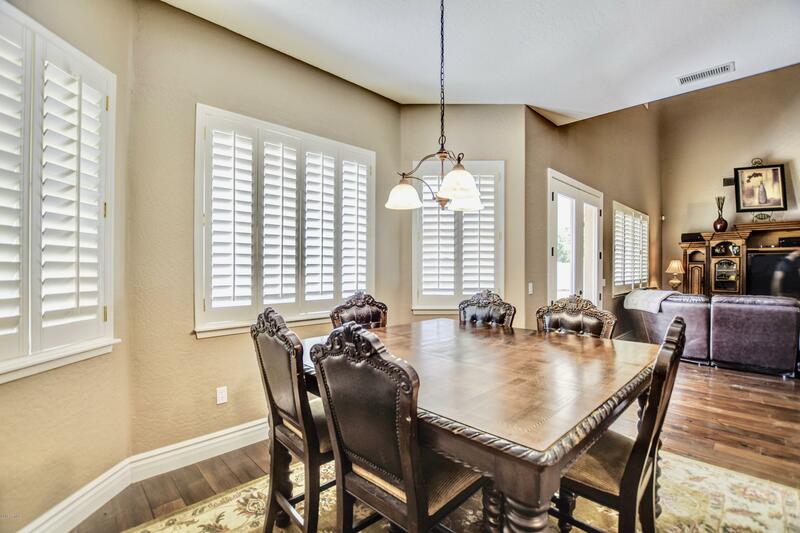 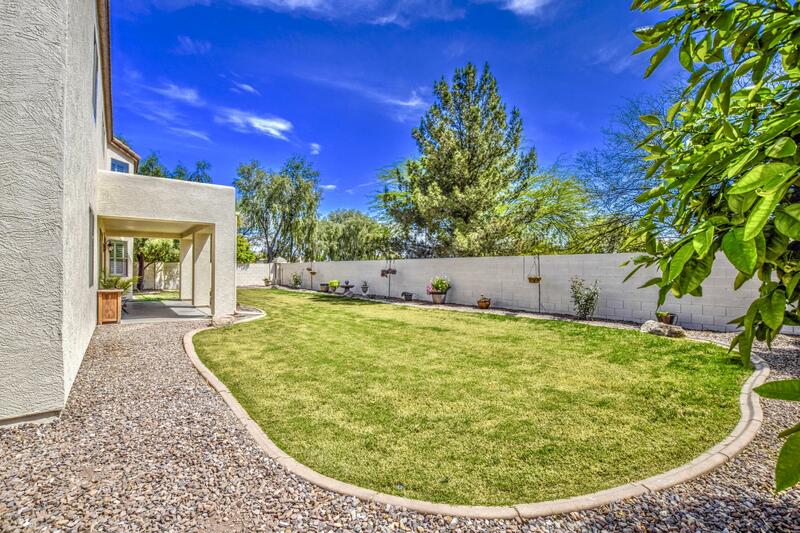 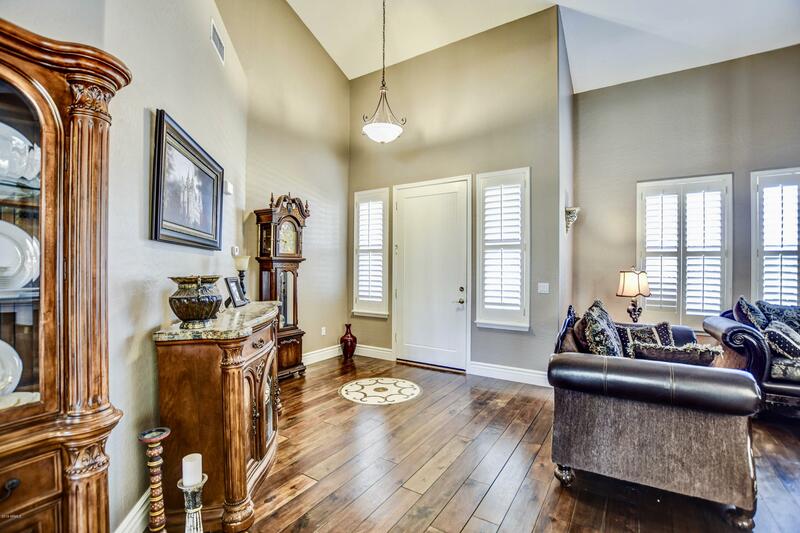 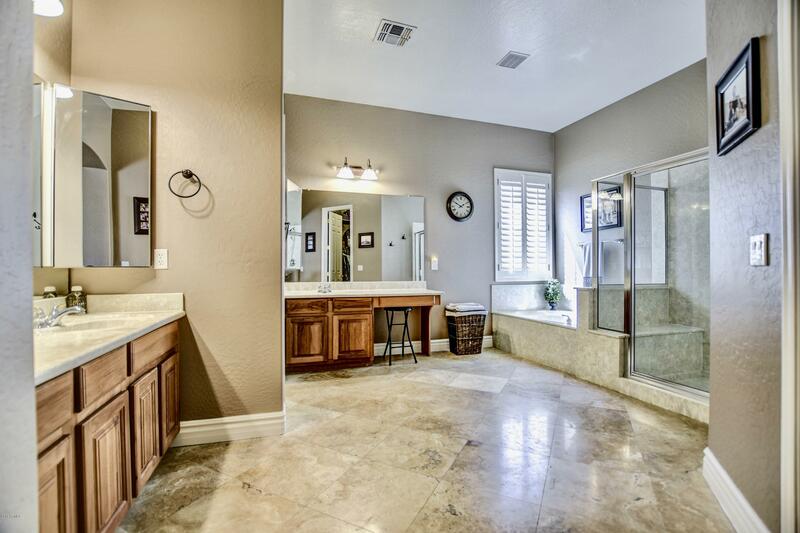 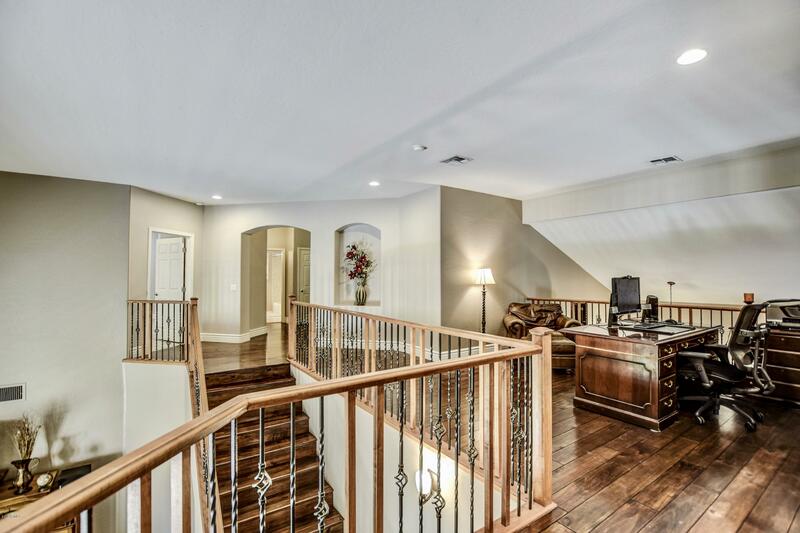 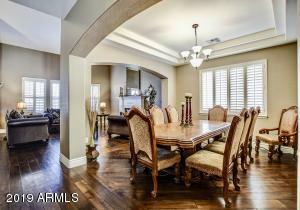 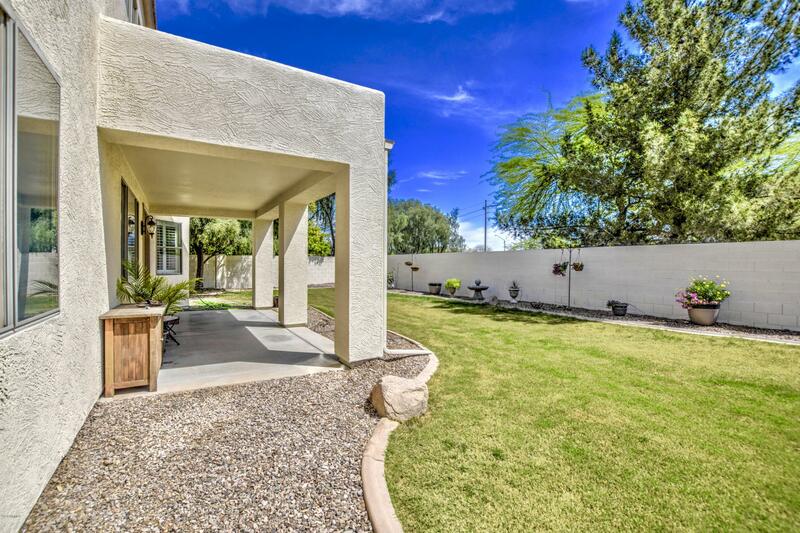 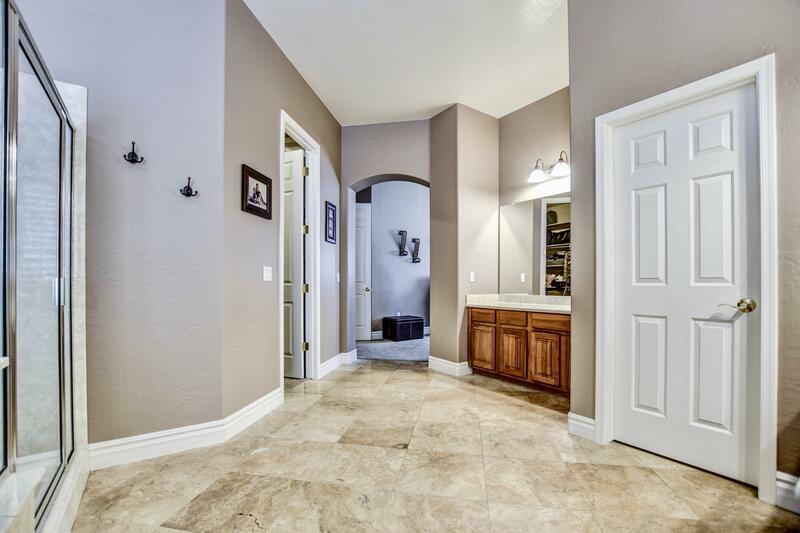 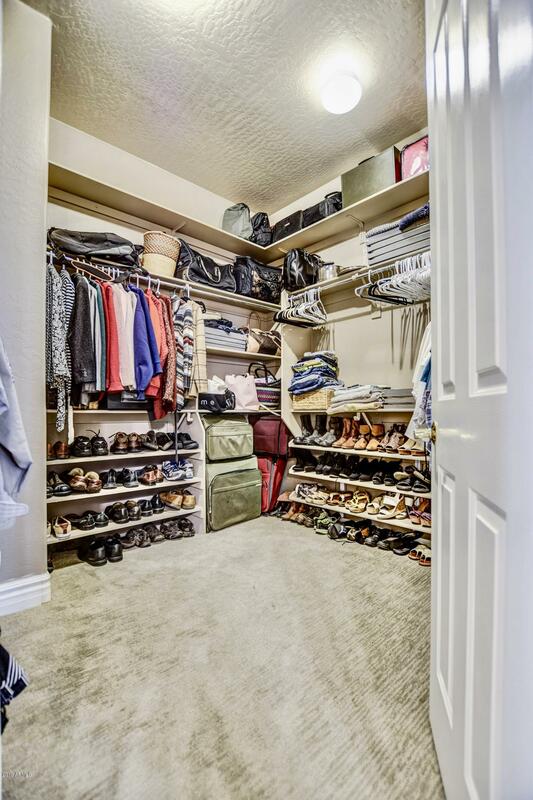 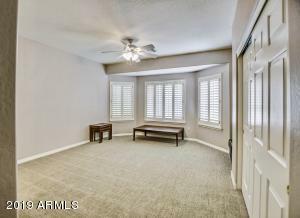 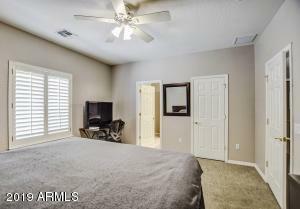 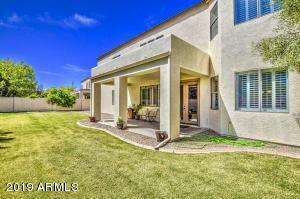 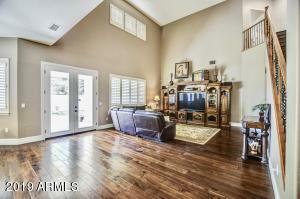 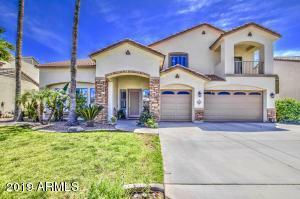 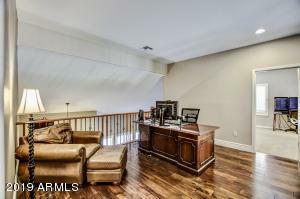 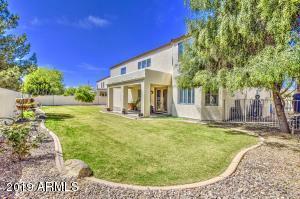 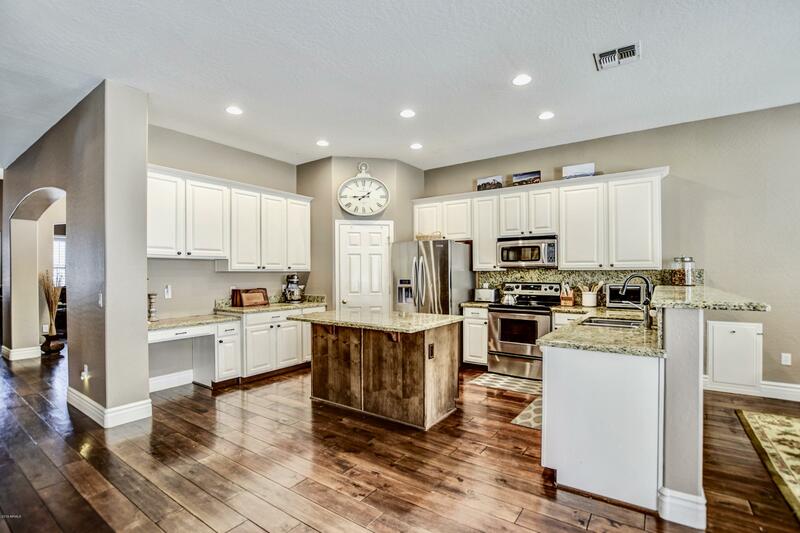 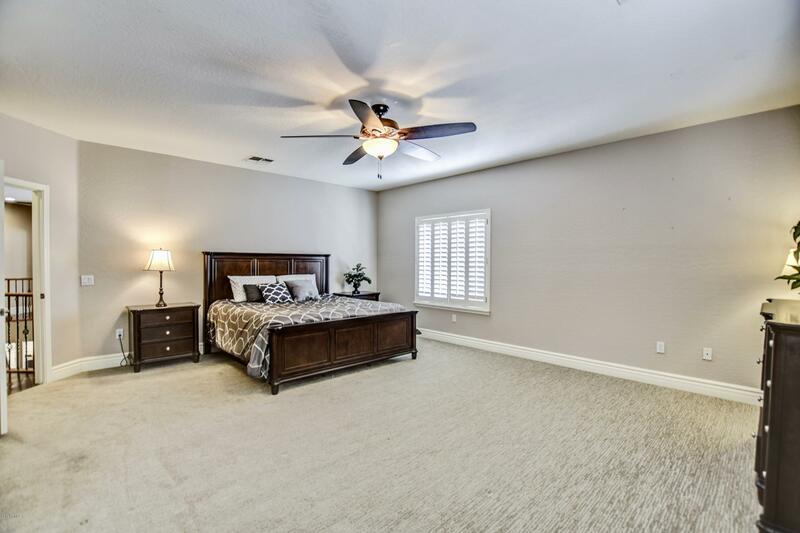 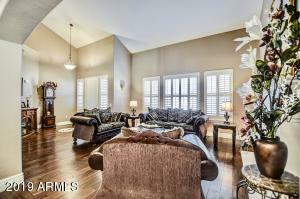 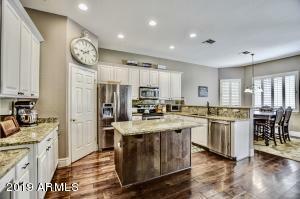 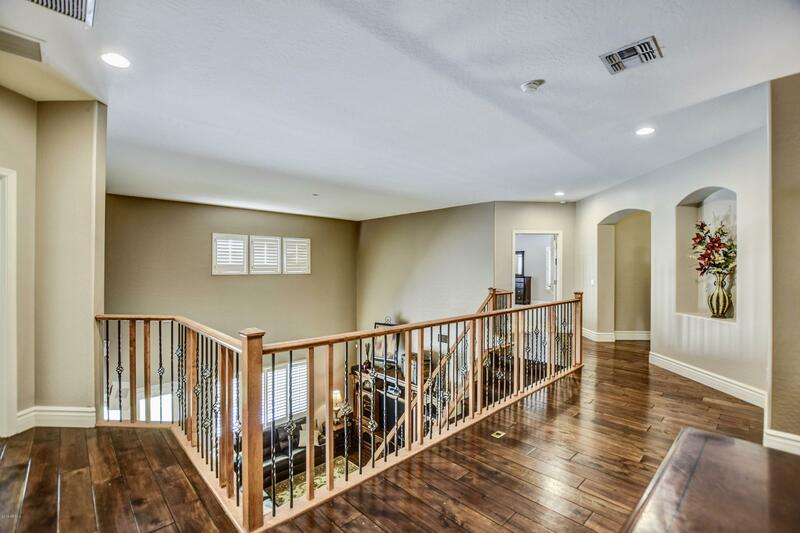 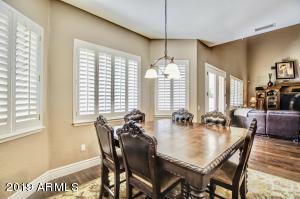 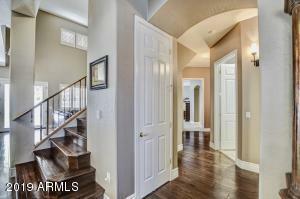 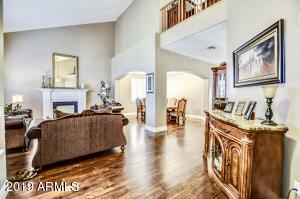 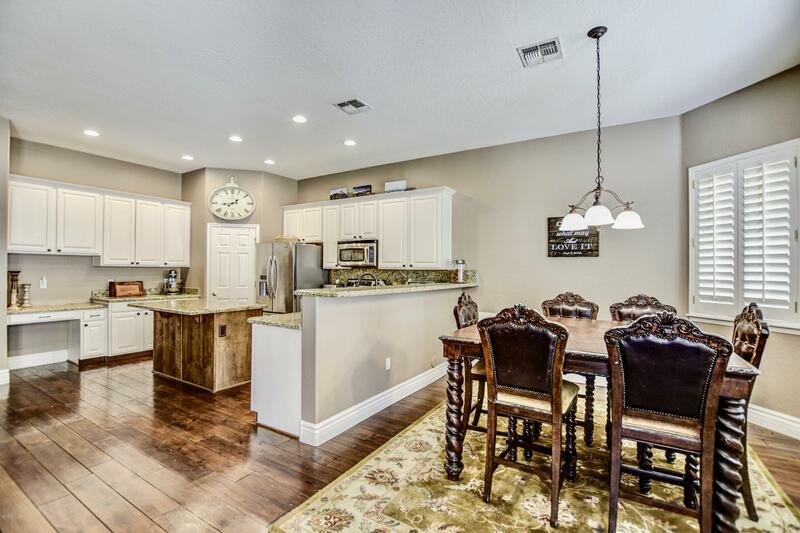 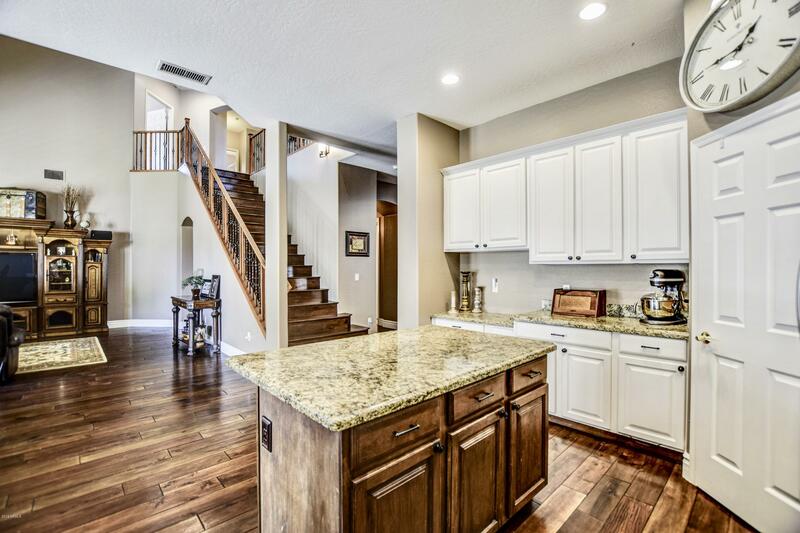 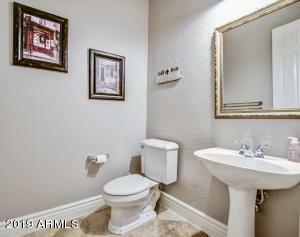 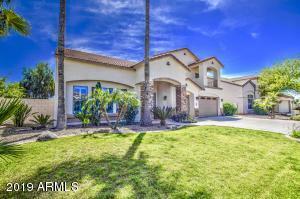 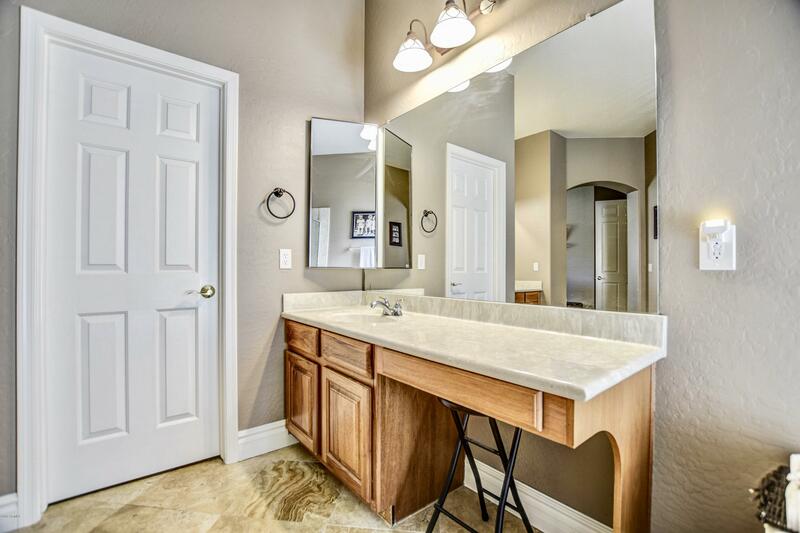 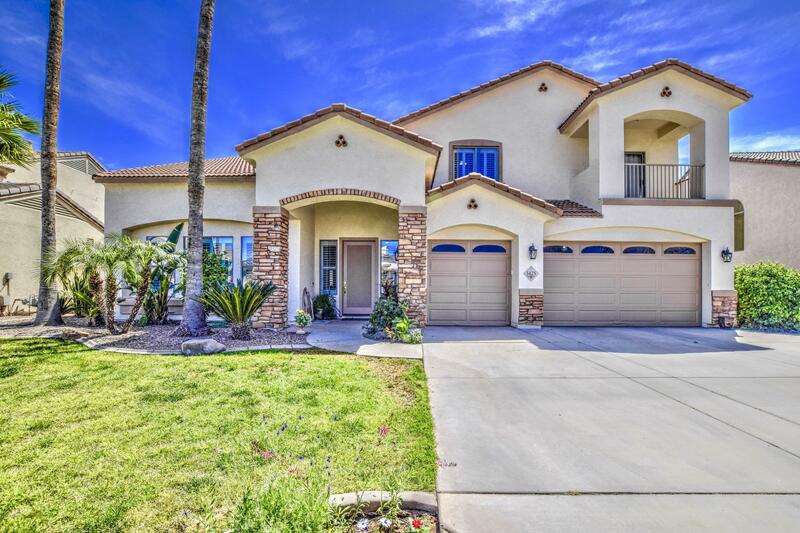 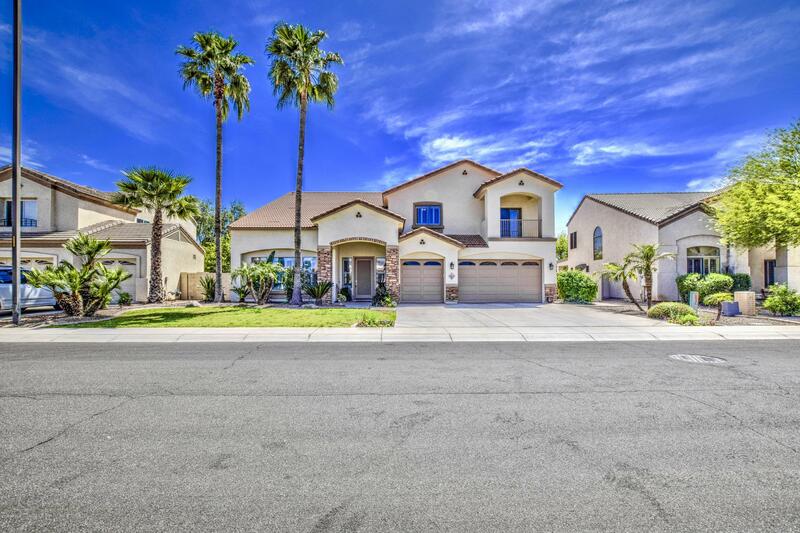 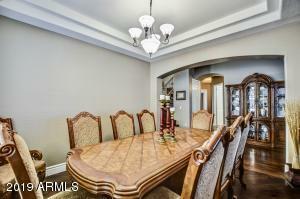 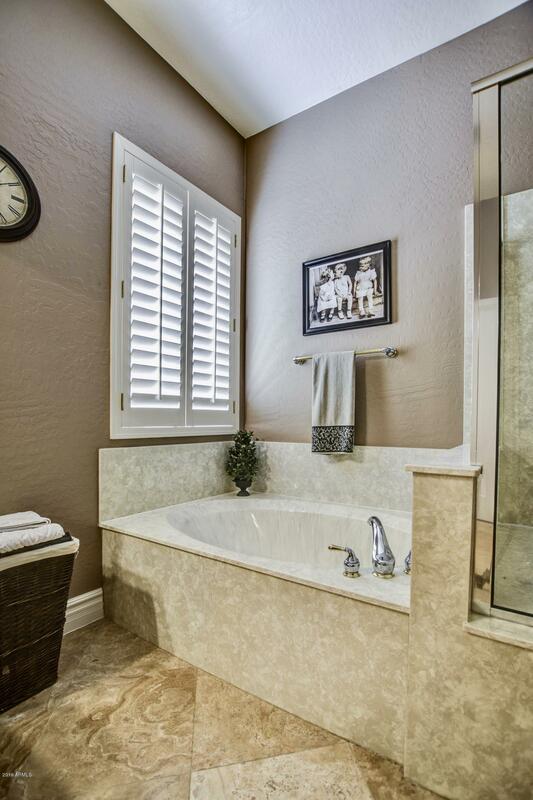 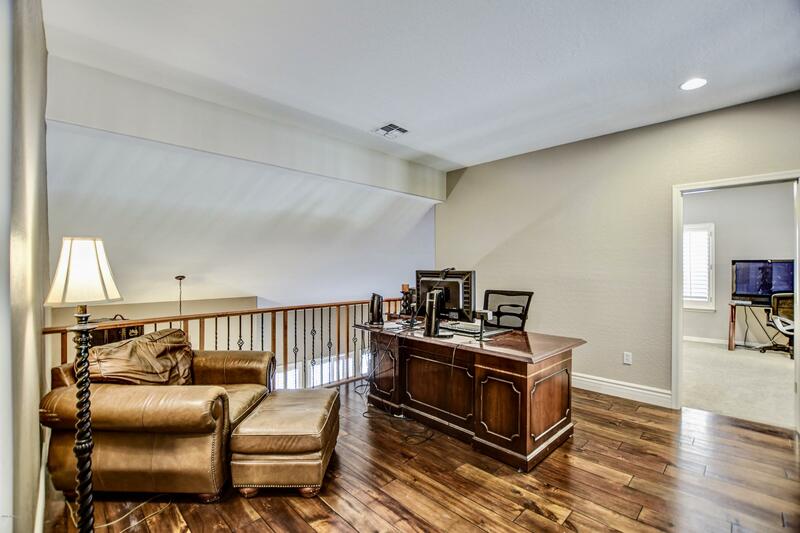 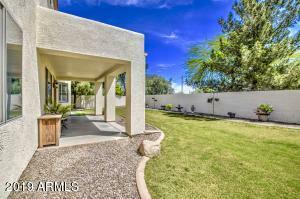 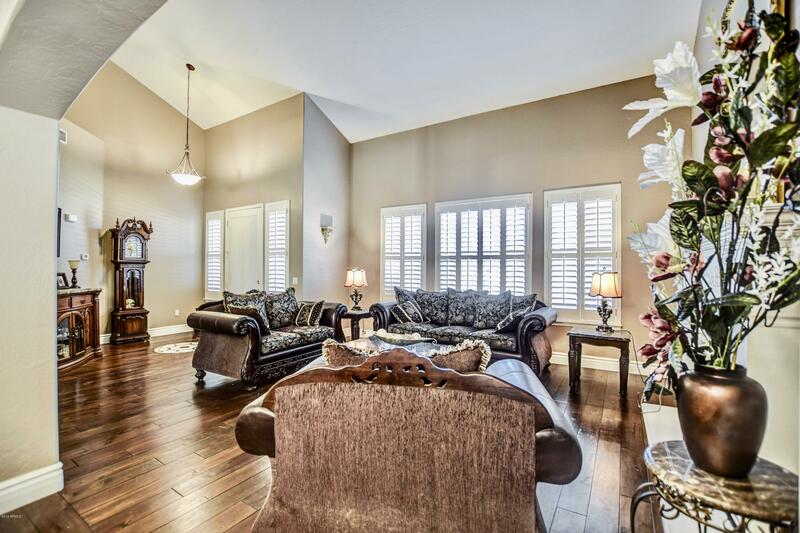 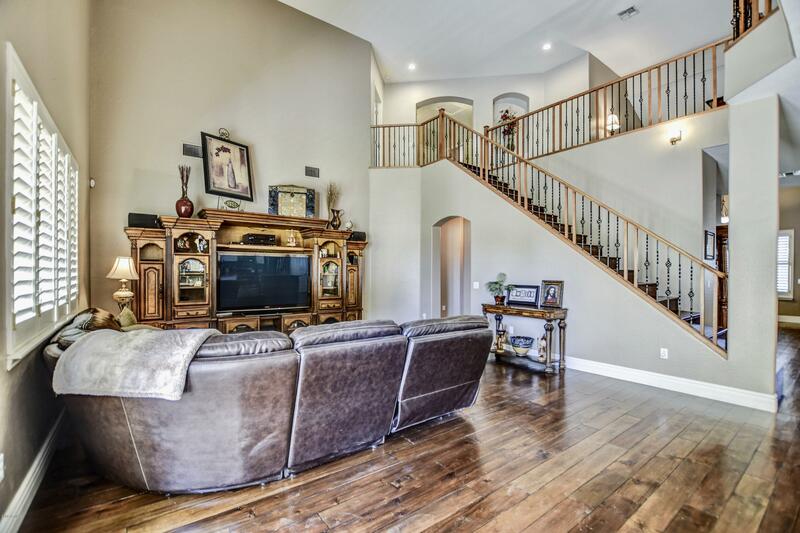 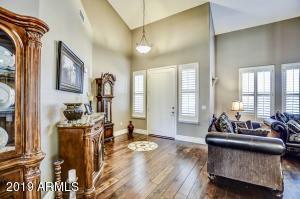 This Spacious Home is Located in Highly Desired Gilbert Community of Melody Ranch. 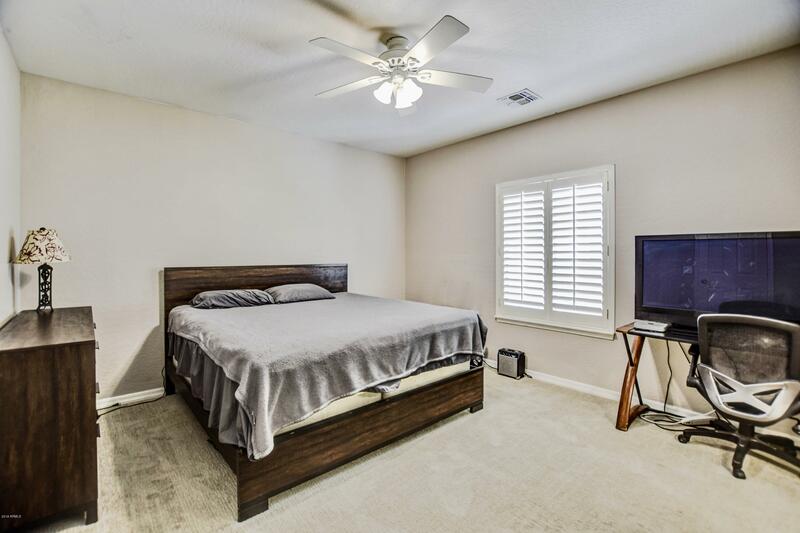 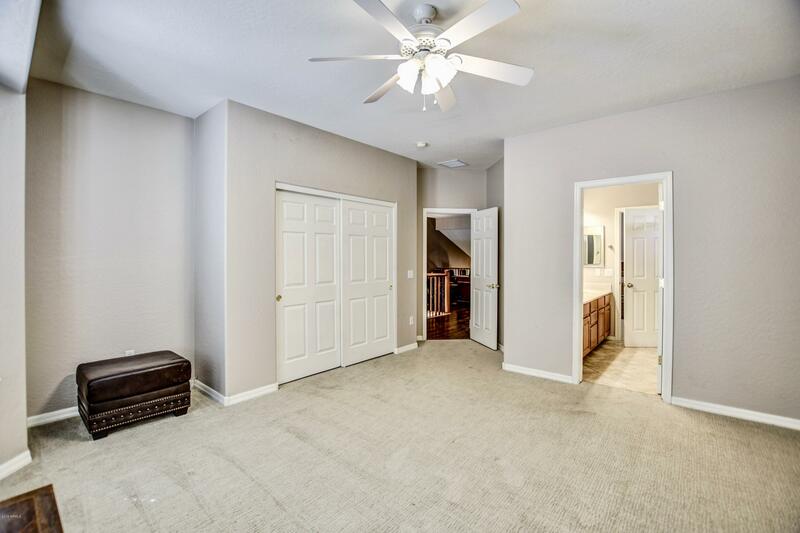 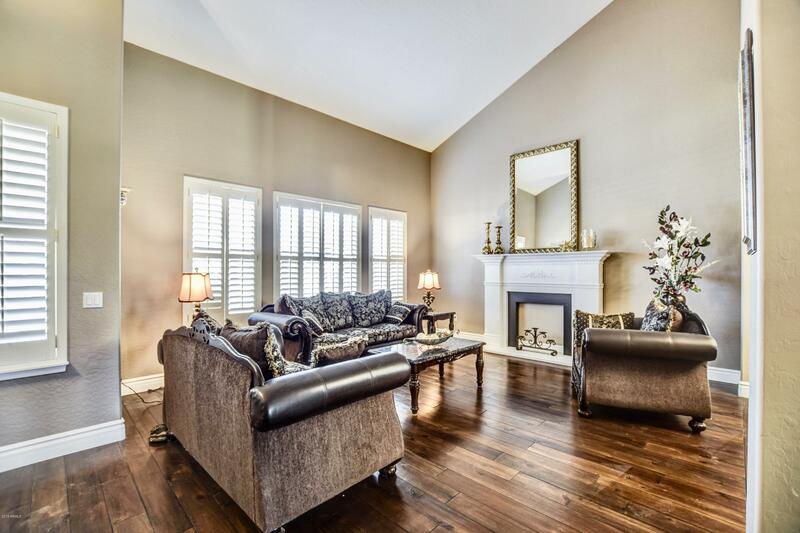 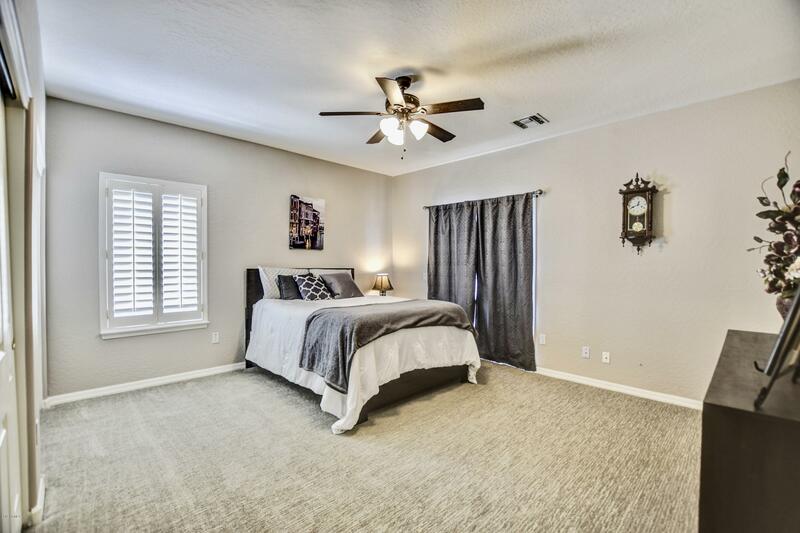 The Home has been Freshly Painted, New Carpet in all the Bedrooms, Elegant Hardwood Flooring, just to name a few Attributes that make this Home Move In Ready! 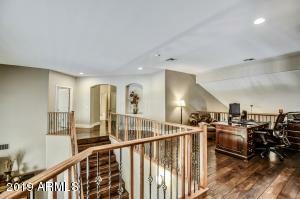 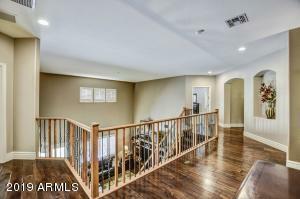 There are 5 Bedrooms and 4 Baths or an Optional 6th Bedroom/Bonus Room Upstairs next the Open Loft. 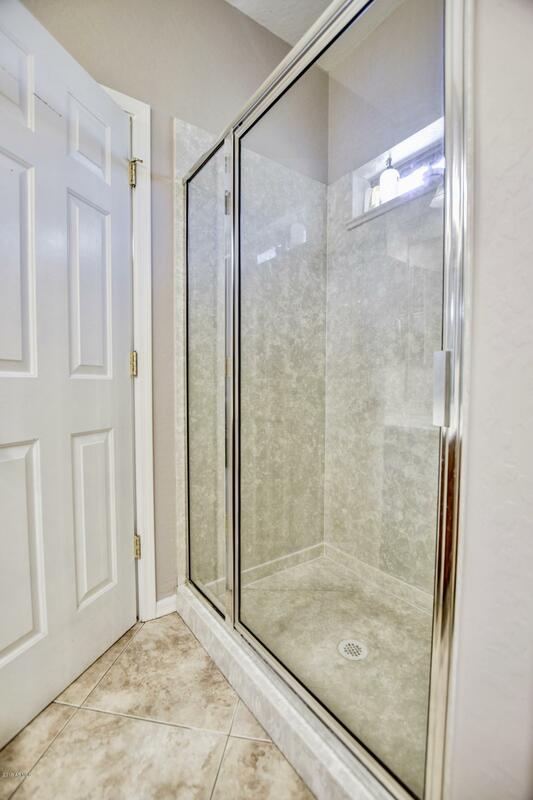 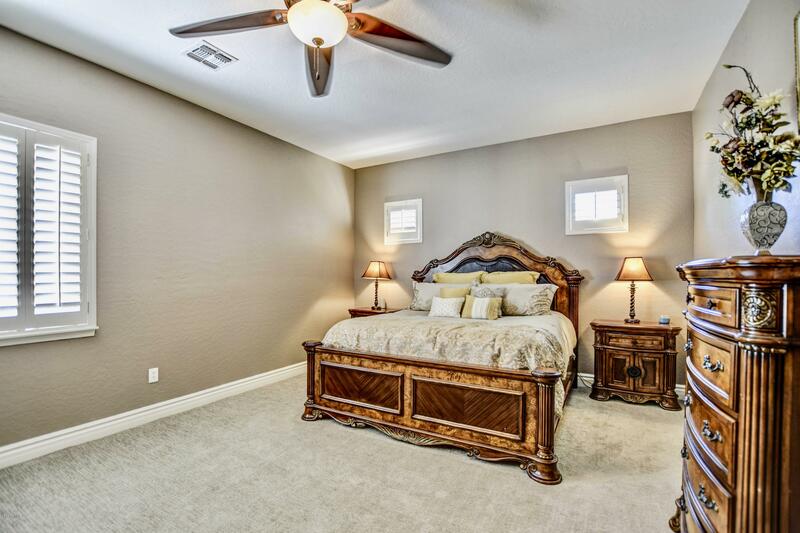 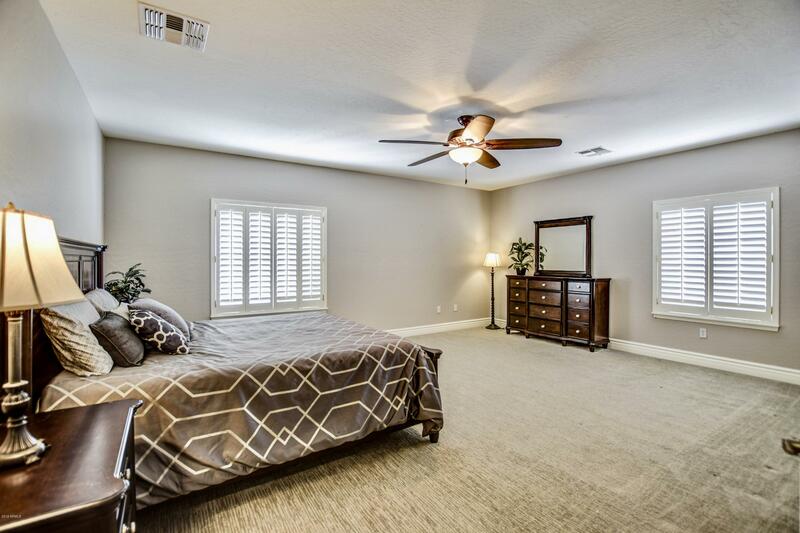 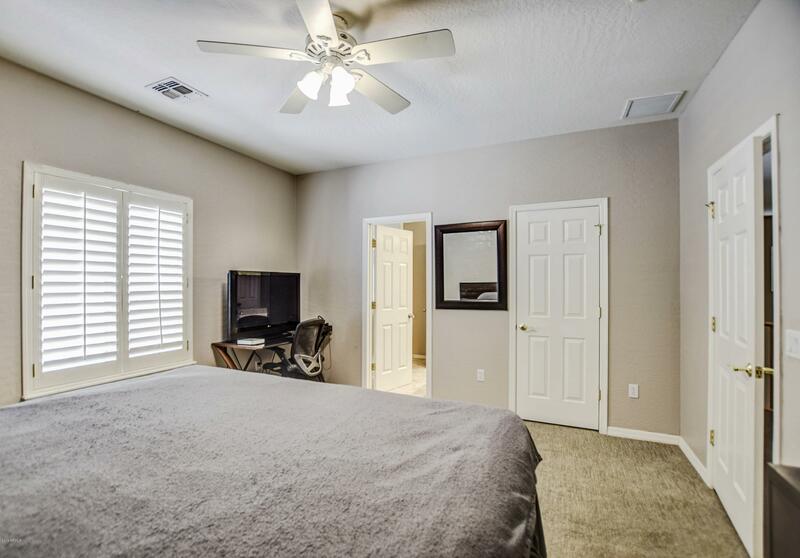 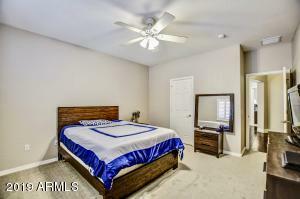 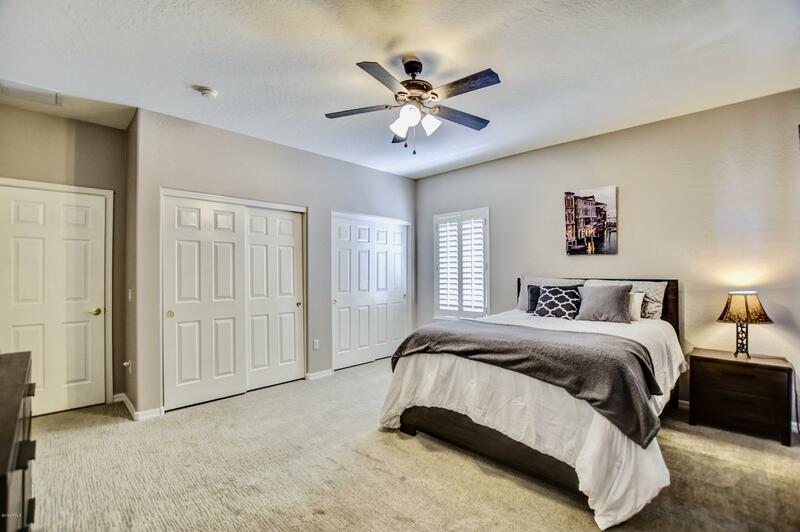 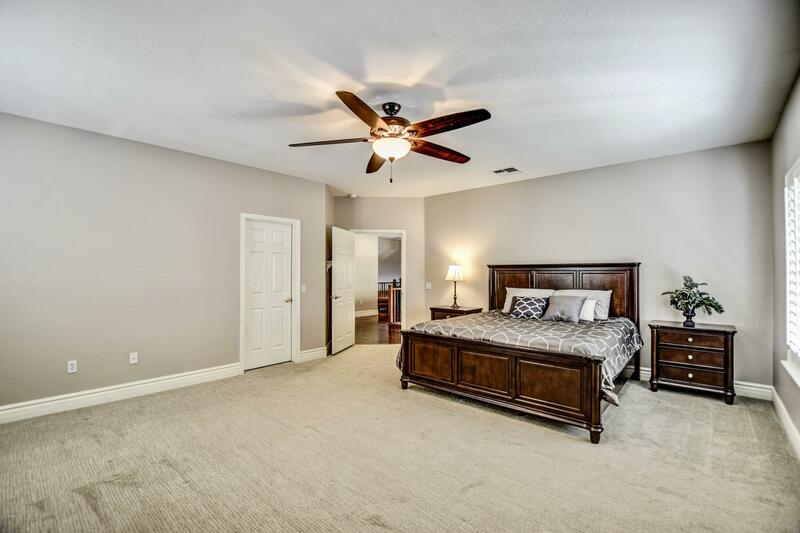 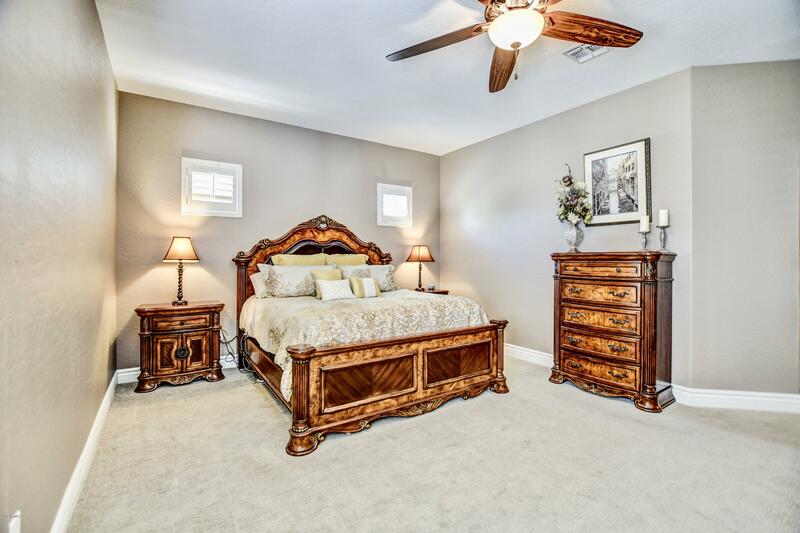 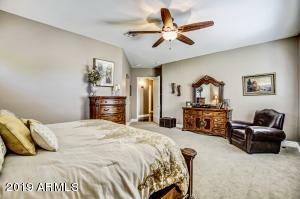 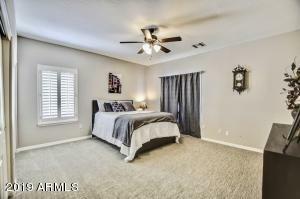 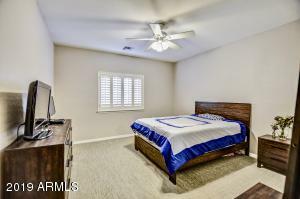 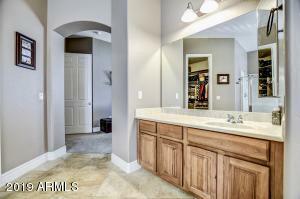 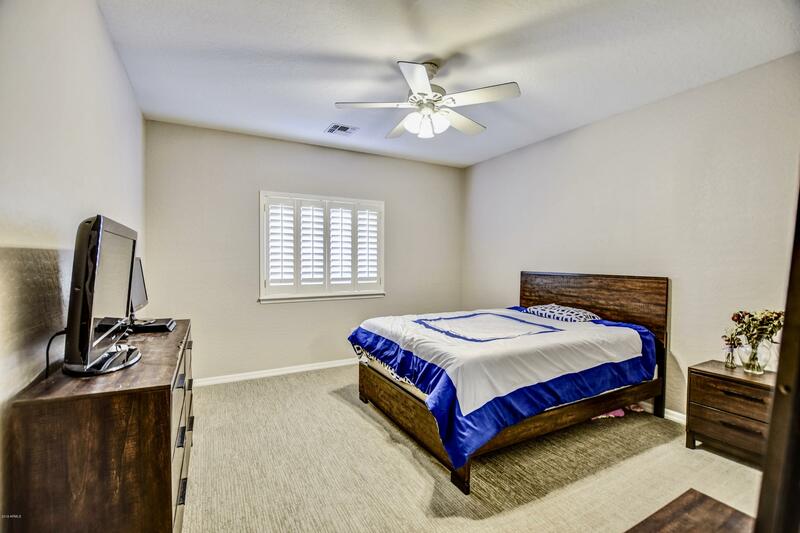 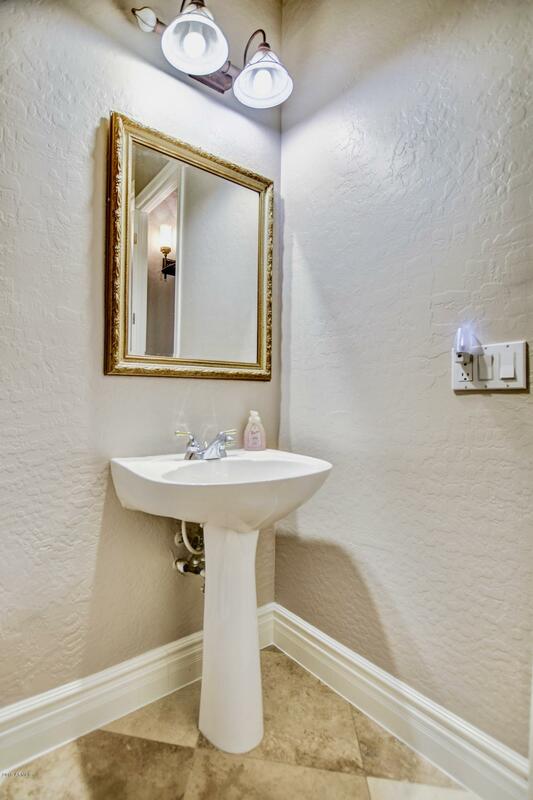 Master Bedroom is on the Main Floor and boasts a Large Walk-In Closet, Separate Tub & Shower and Double Vanity Sinks. 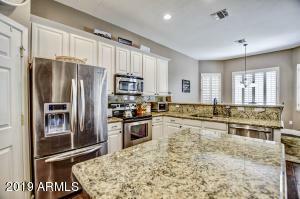 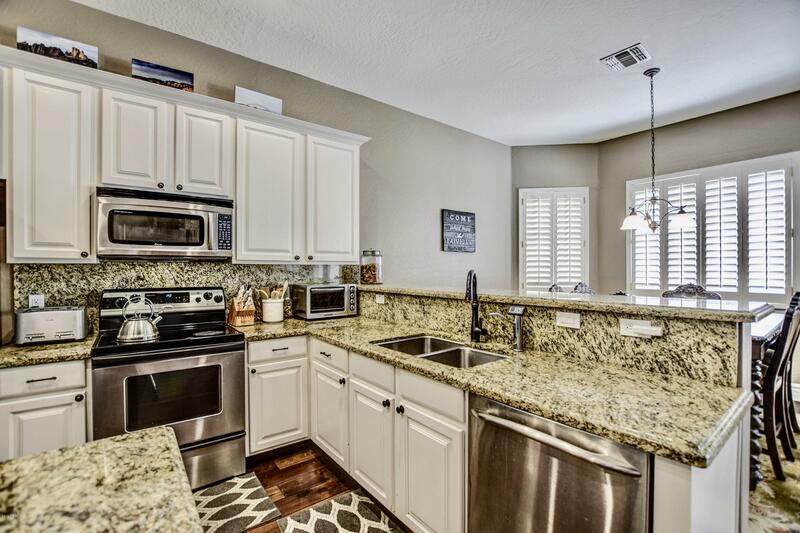 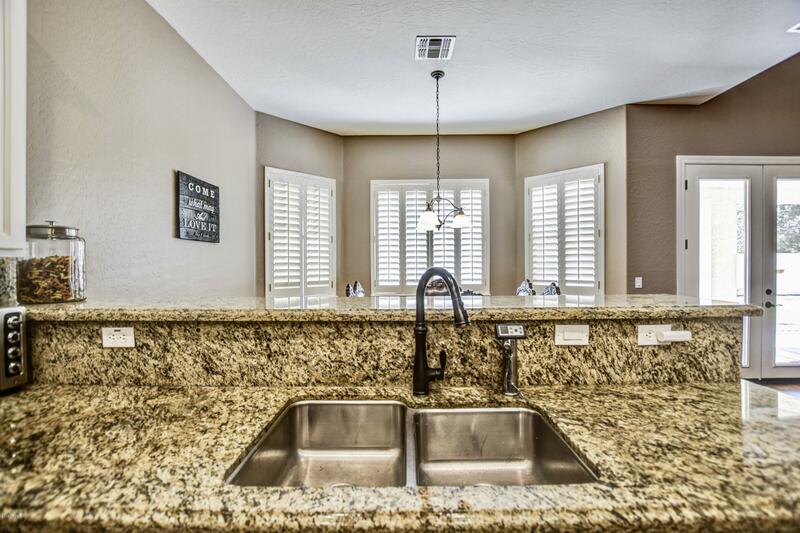 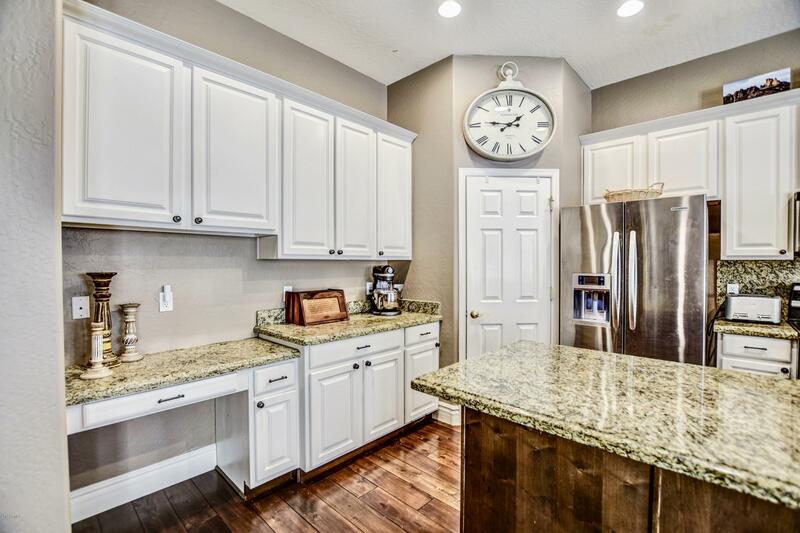 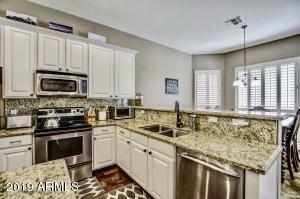 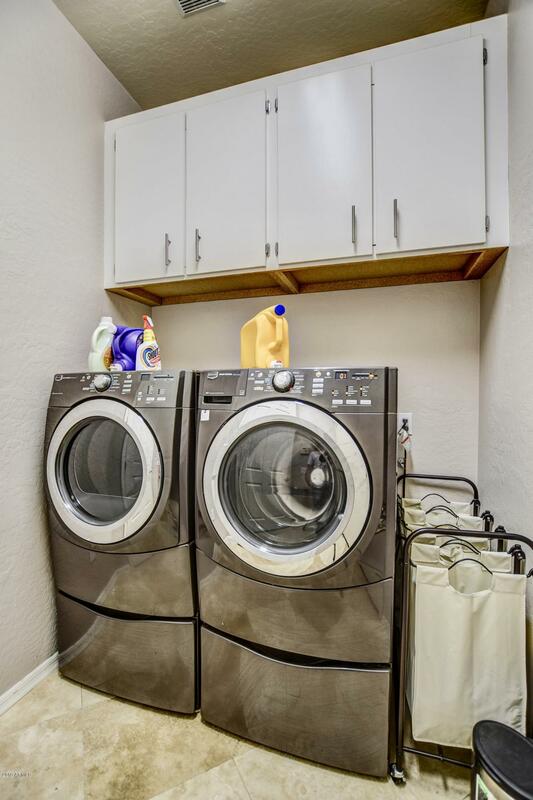 The Kitchen has Granite Counter Tops, Stainless Steel Appliances and Sink and a Center Island. The Kitchen Opens Up to a Separate Family Room with Soaring Ceilings Looking to the Upstairs Loft. 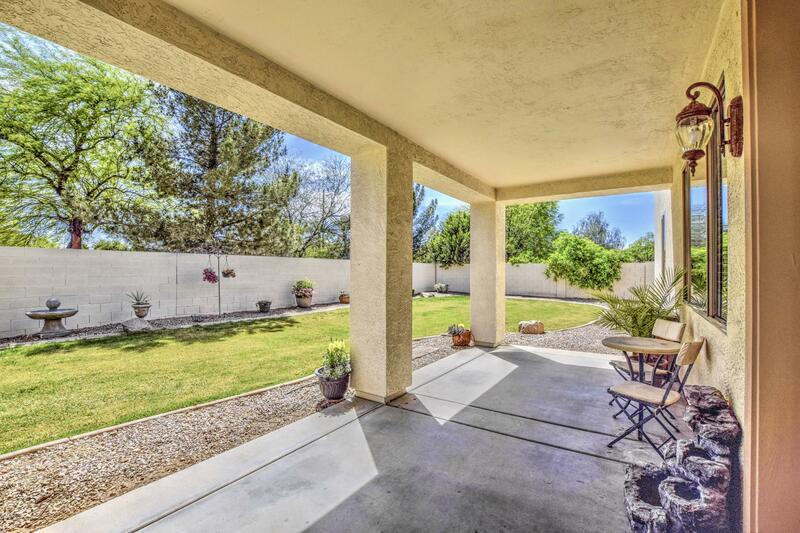 Outside has Grass in the Front and Back Yards. 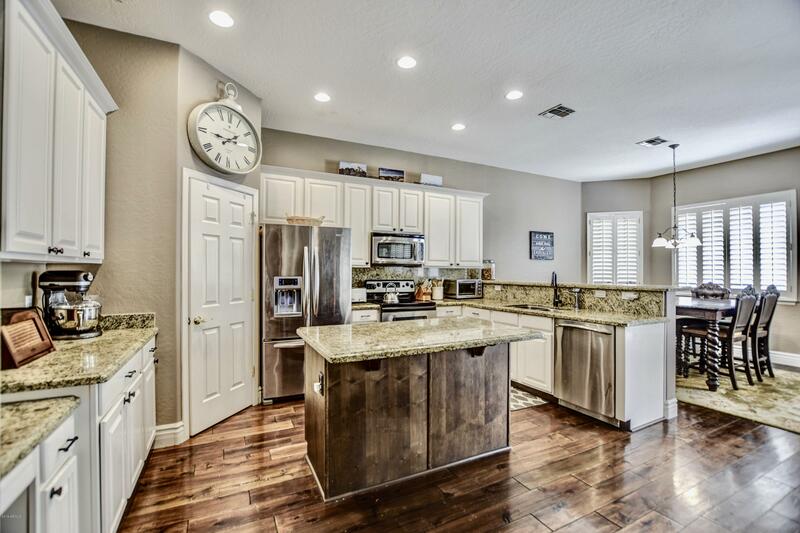 North/South Exposure! Come See this Home Today!